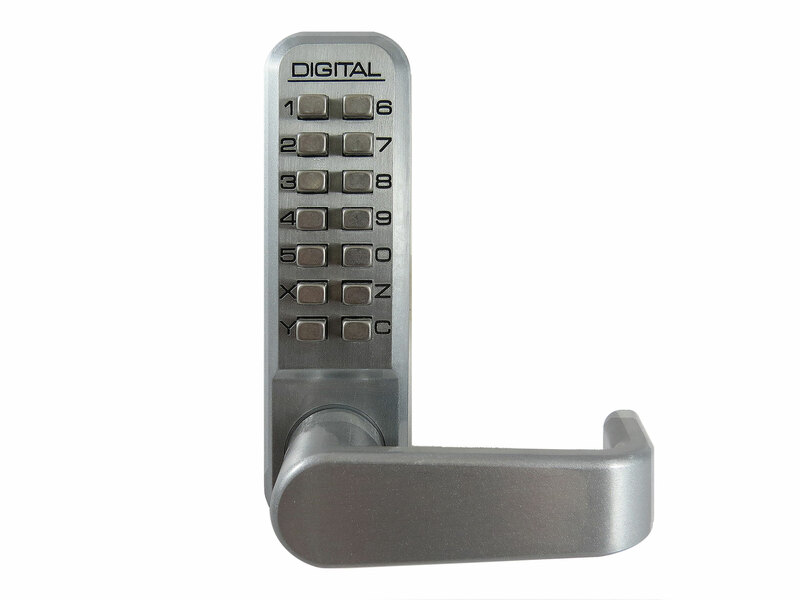 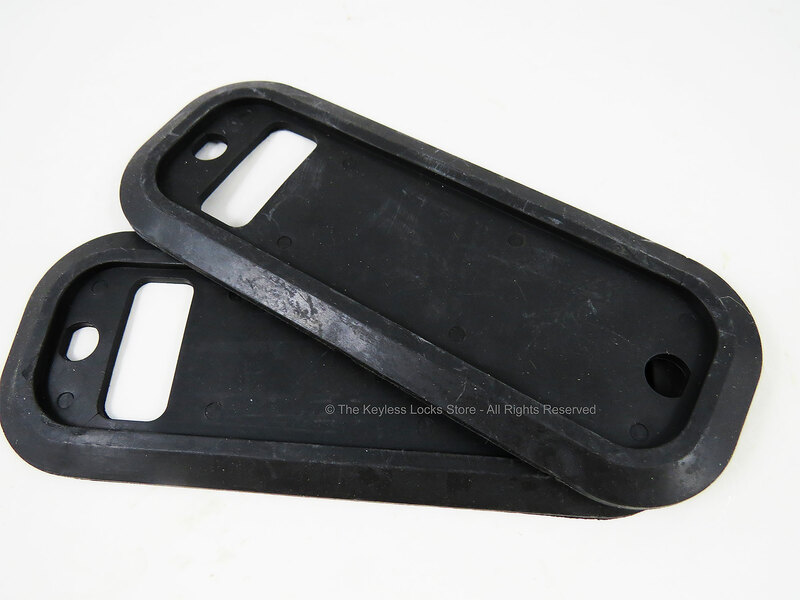 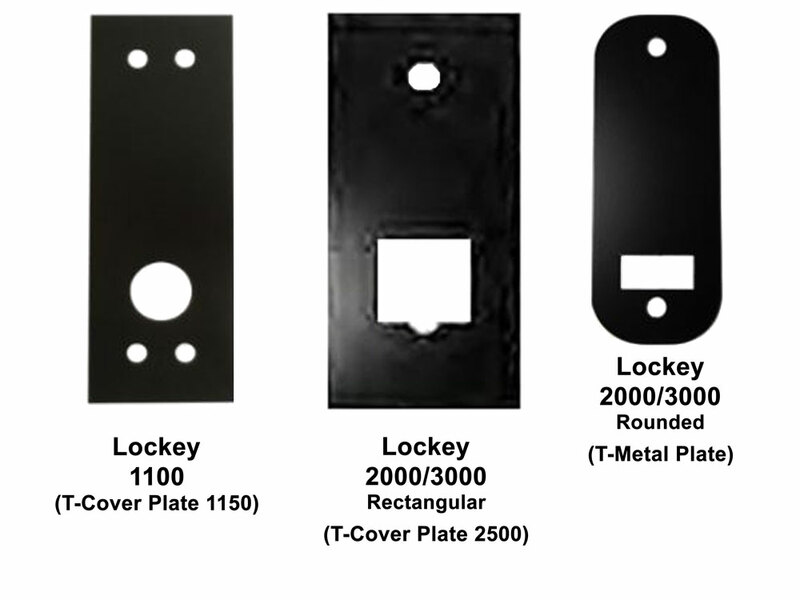 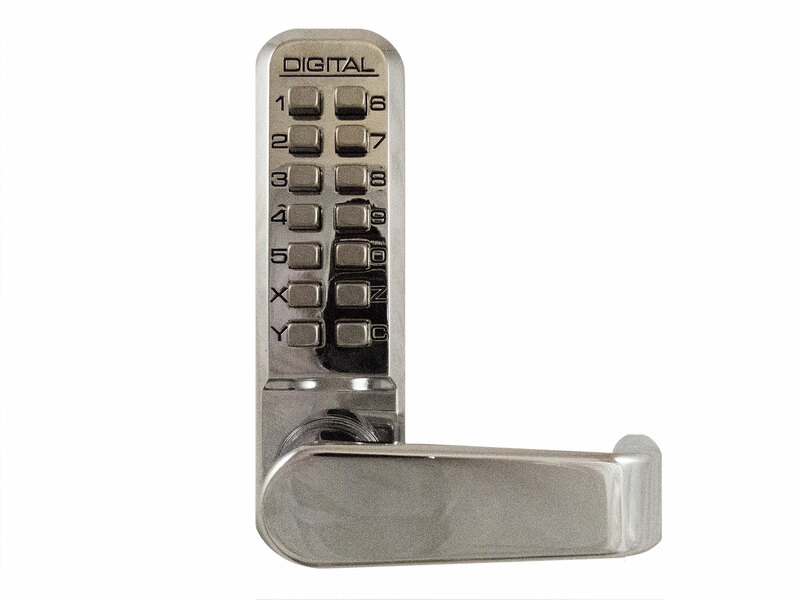 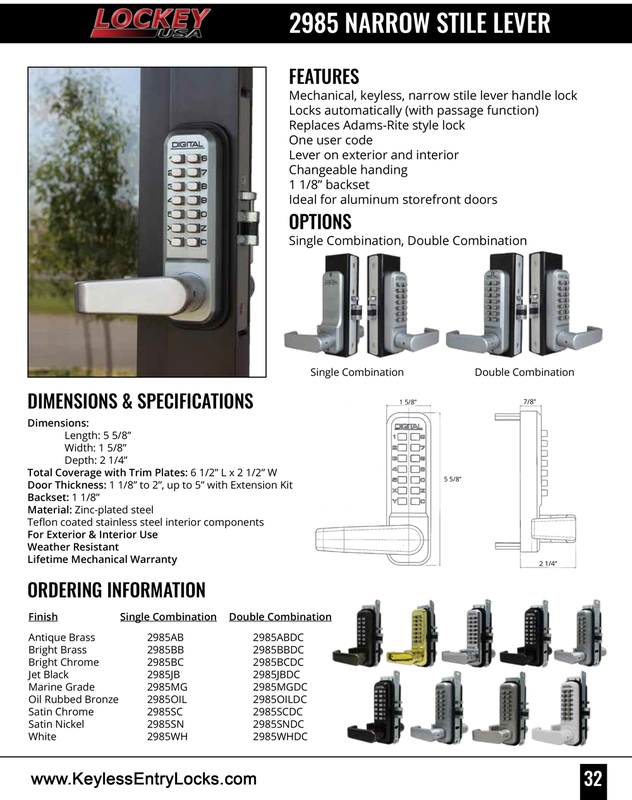 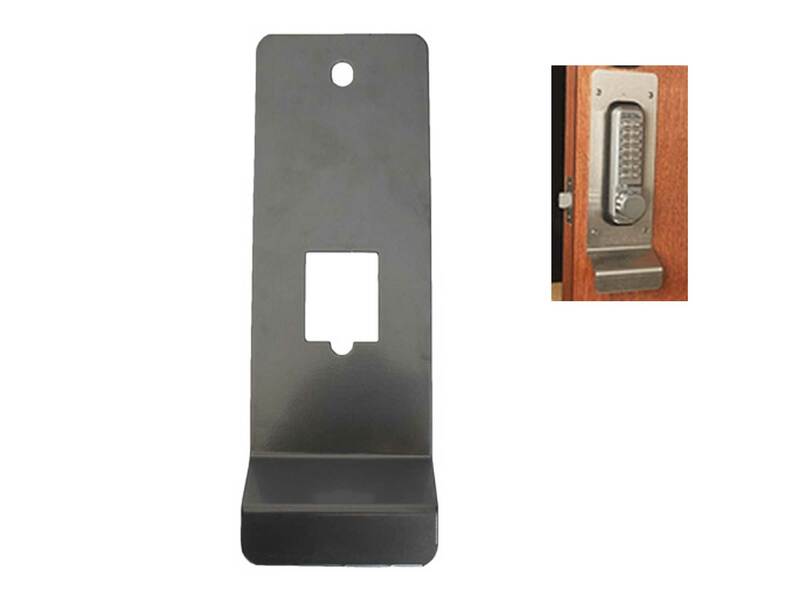 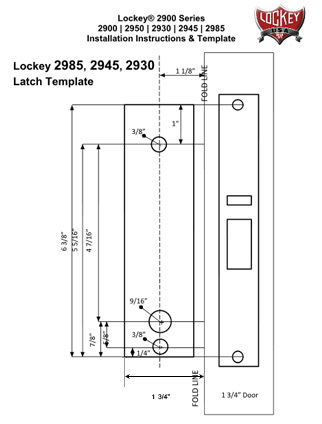 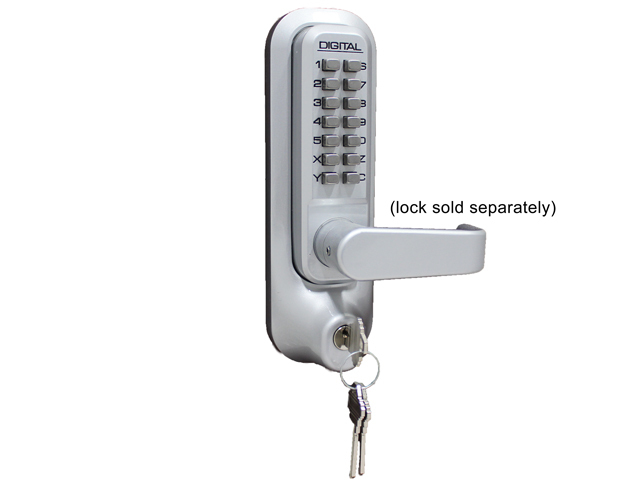 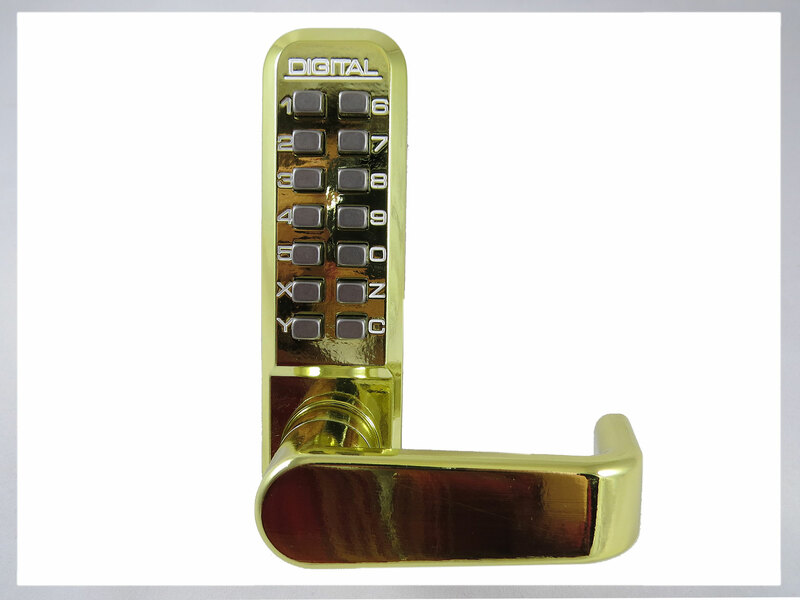 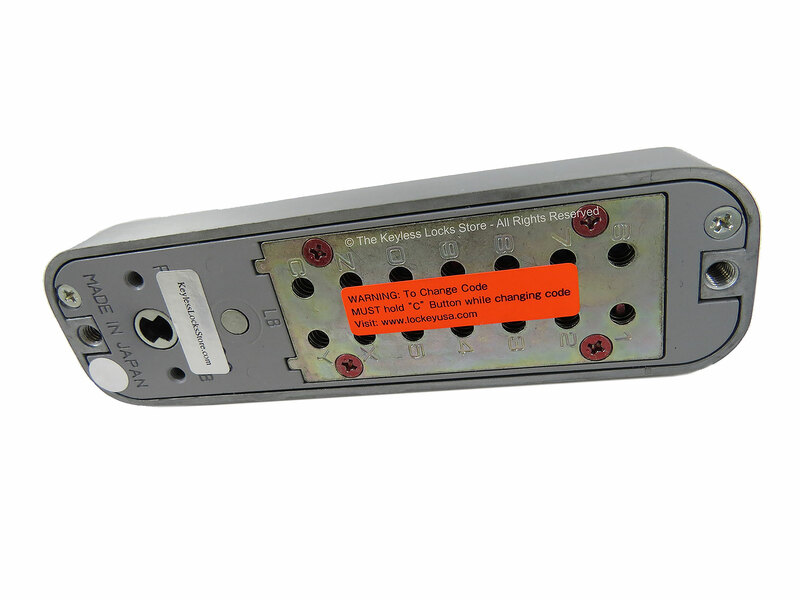 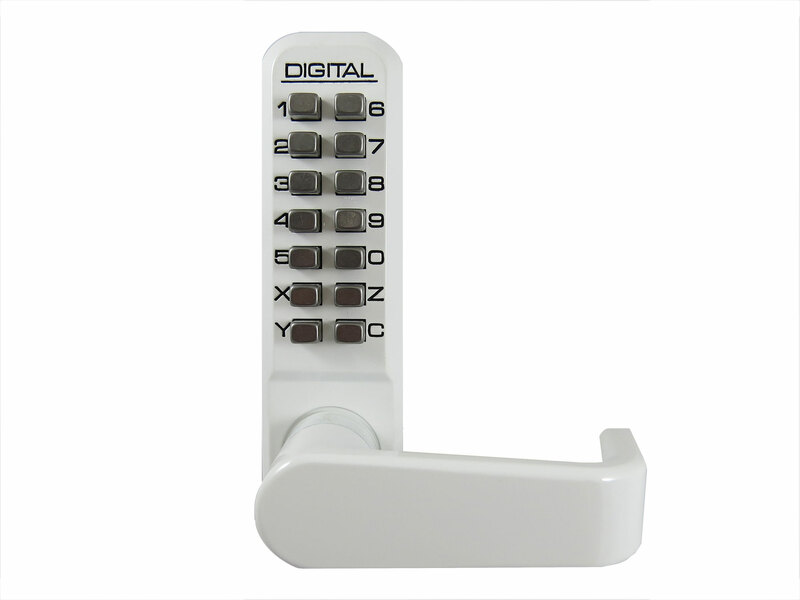 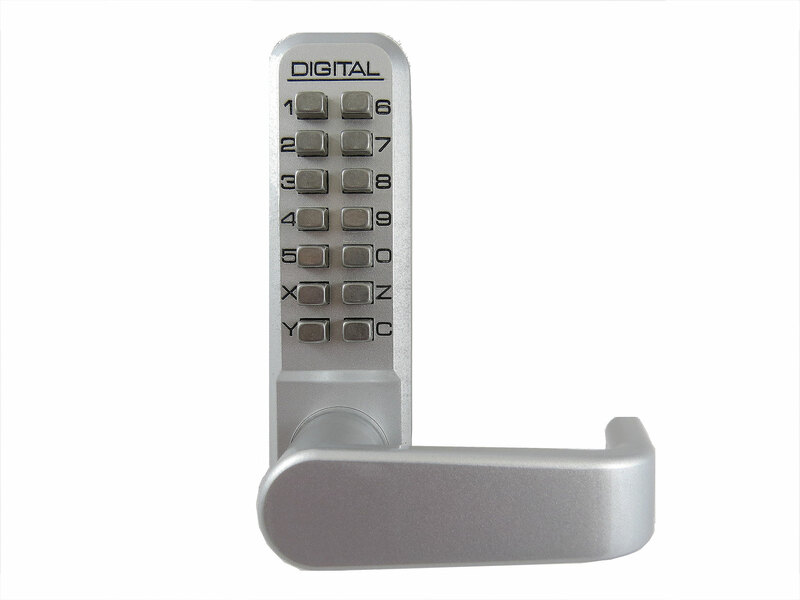 The Lockey 2985DC Narrow-Stile Latchbolt Keypad Lock is a is double-sided keyless entry keypad lock that is designed to replace an Adams Rite lock. 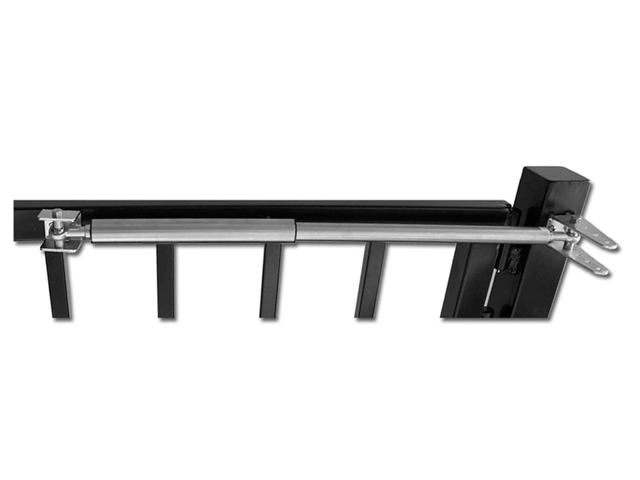 It has a large mortised latchbolt with a 1-1/8" back set so it will fit most narrow stile glass and aluminum storefront doors. 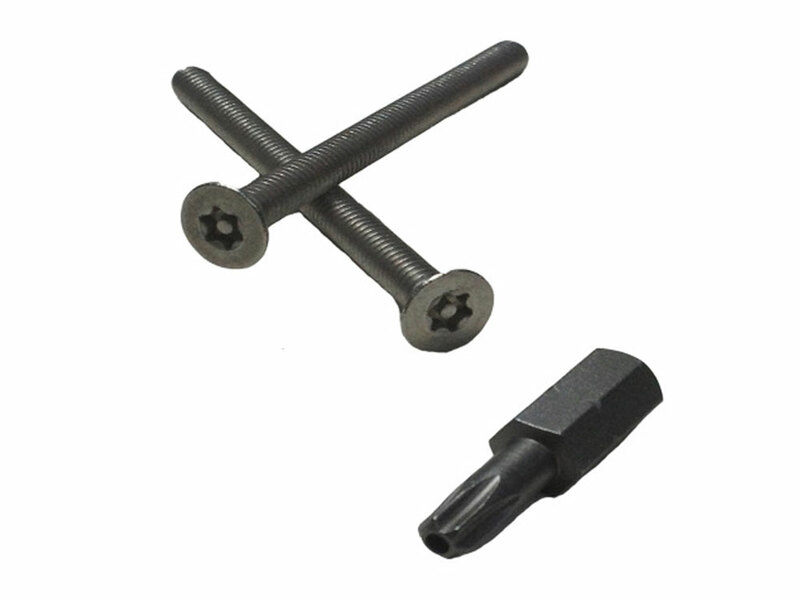 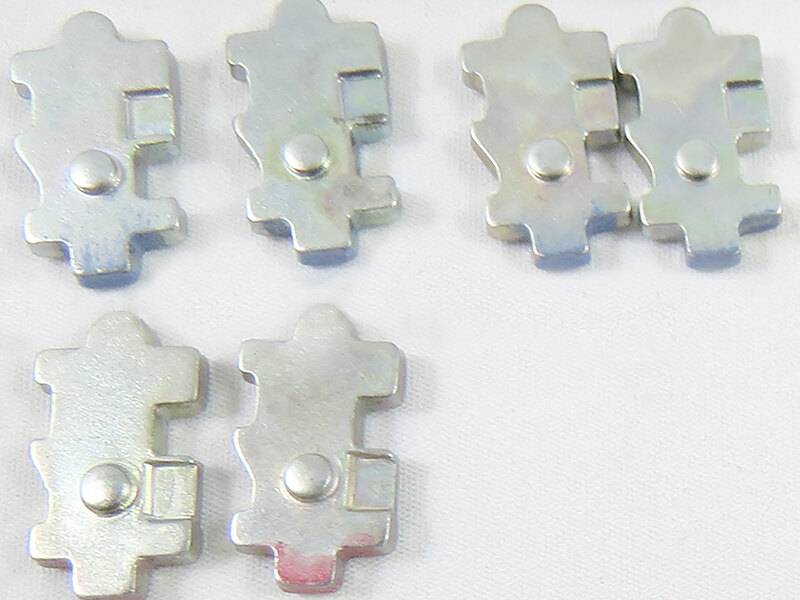 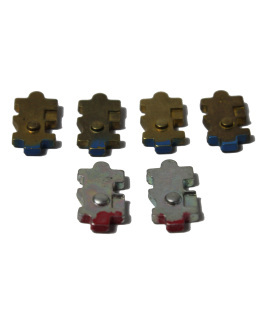 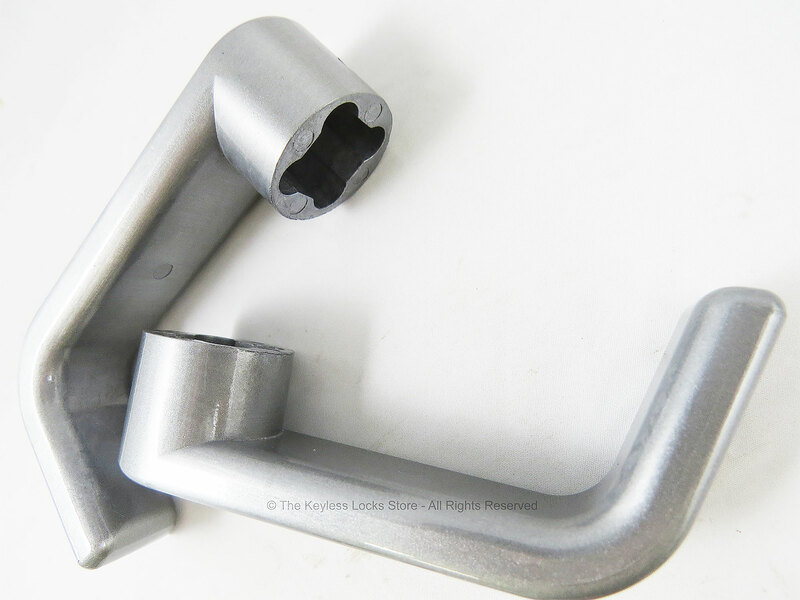 BOLT TYPE: Locks with a large, block-shaped latchbolt that is mortised (inserted) into the edge of a door and that lock automatically..
DOOR/GATE TYPE: (locks for hinged doors on retail storefronts with narrow stiles and mortised bolts. 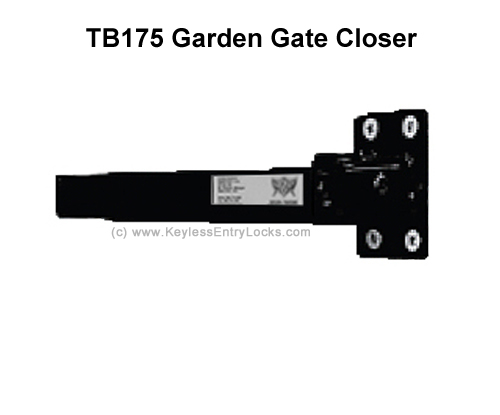 These are often made of glass and aluminum; (locks for standard doors/gates that swing and are made of wood/vinyl/glass/metal, with/without vertical posts or pickets); (locks for swinging chain link fence gates with round posts; designed for use with LINX gate boxes). 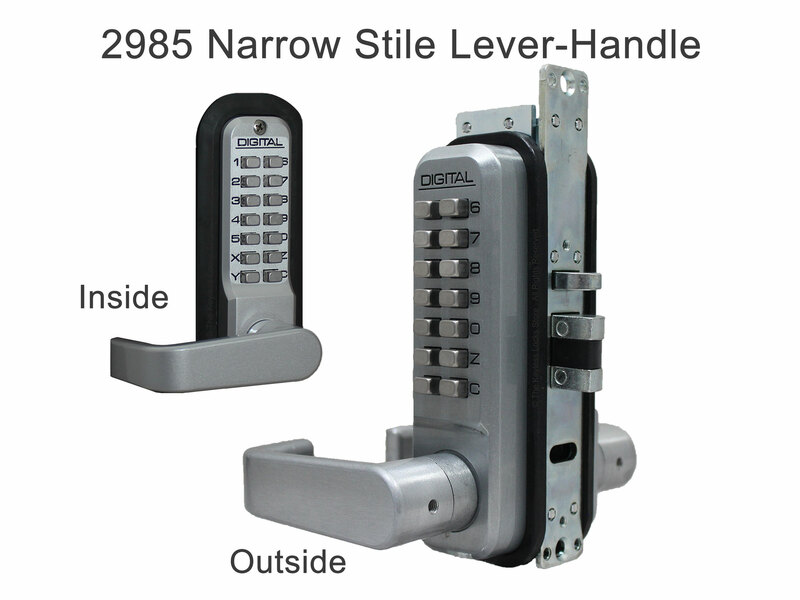 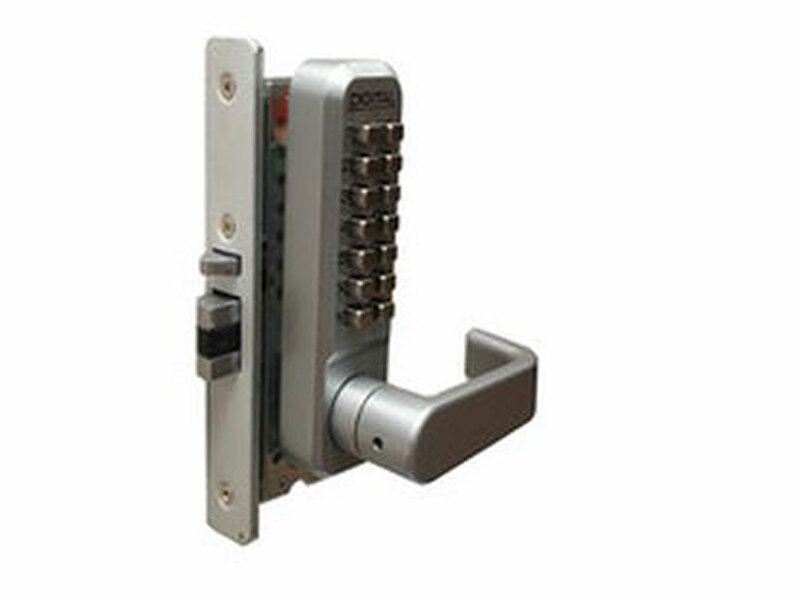 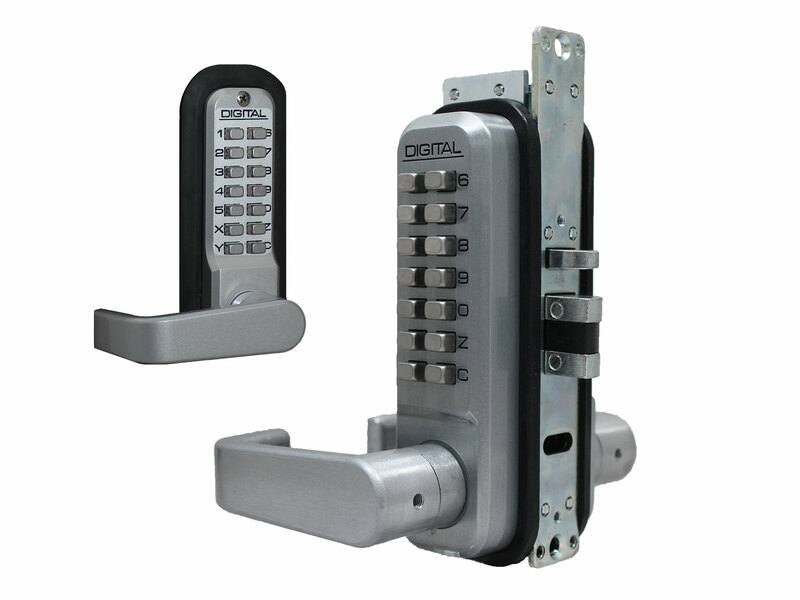 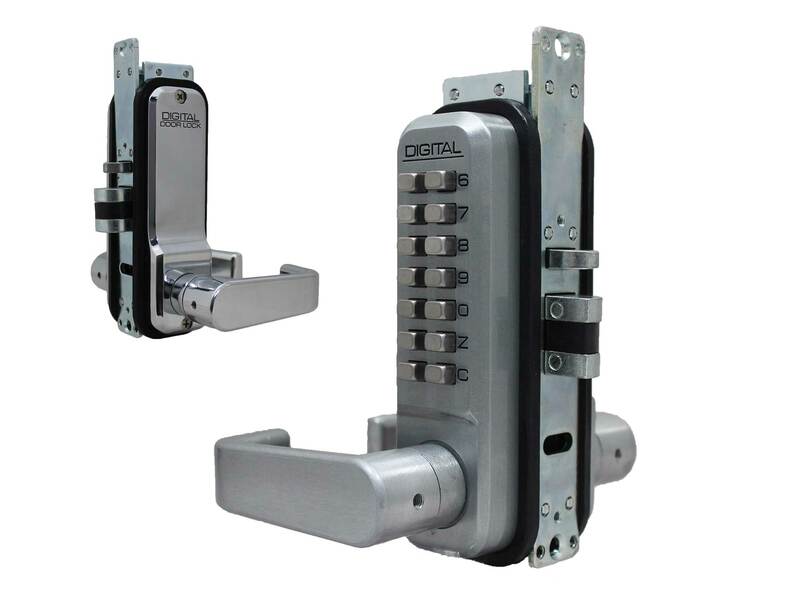 The 2985DC is a double-sided mortised latchbolt lock with a lever handle. 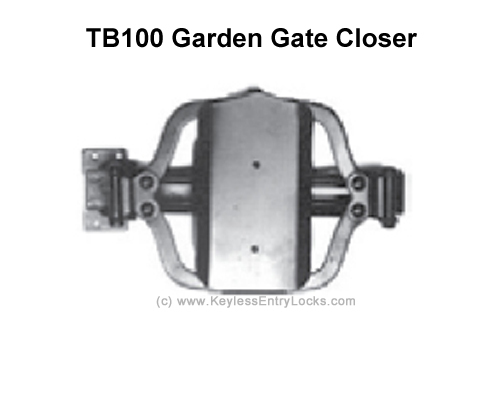 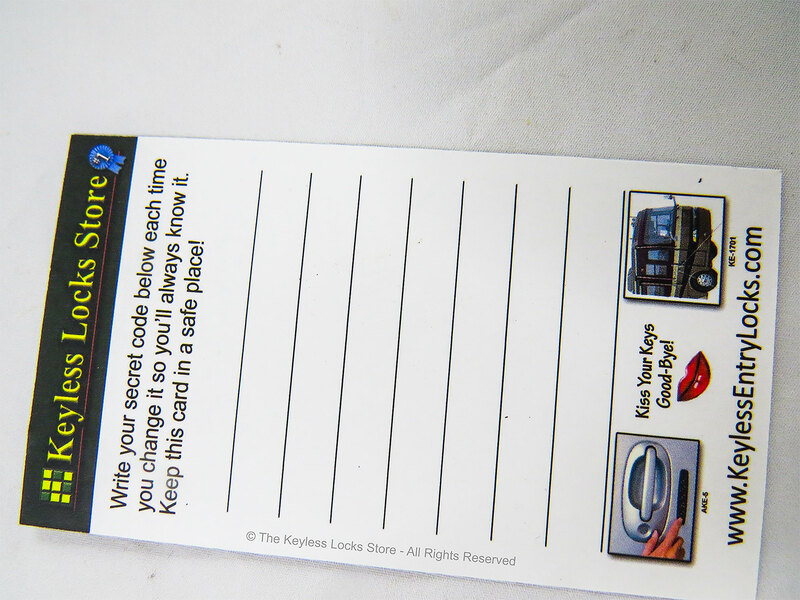 It is designed to fit on a door or gate with a narrow frame. 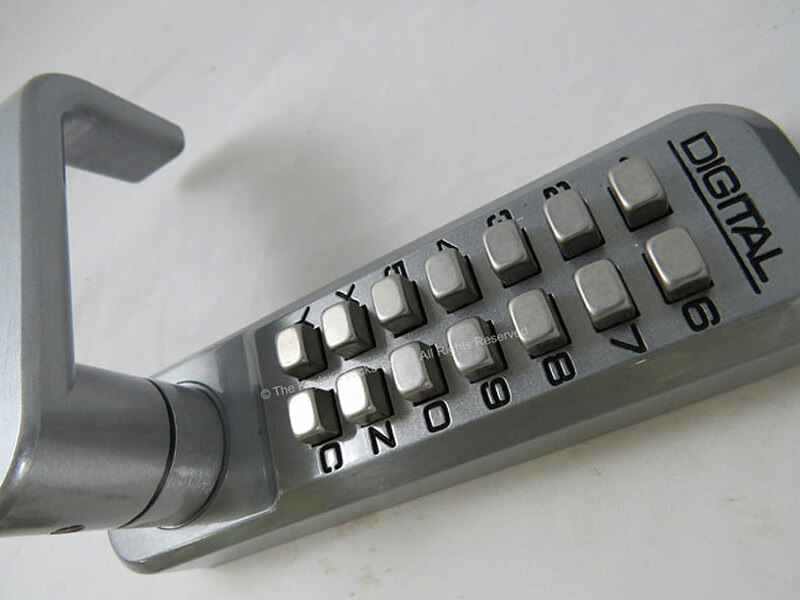 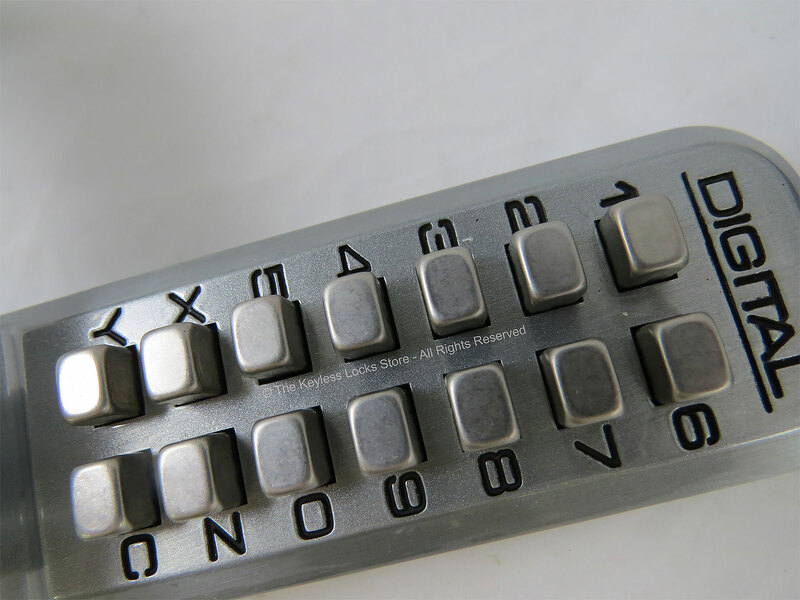 This security keypad lock also has a passage function. 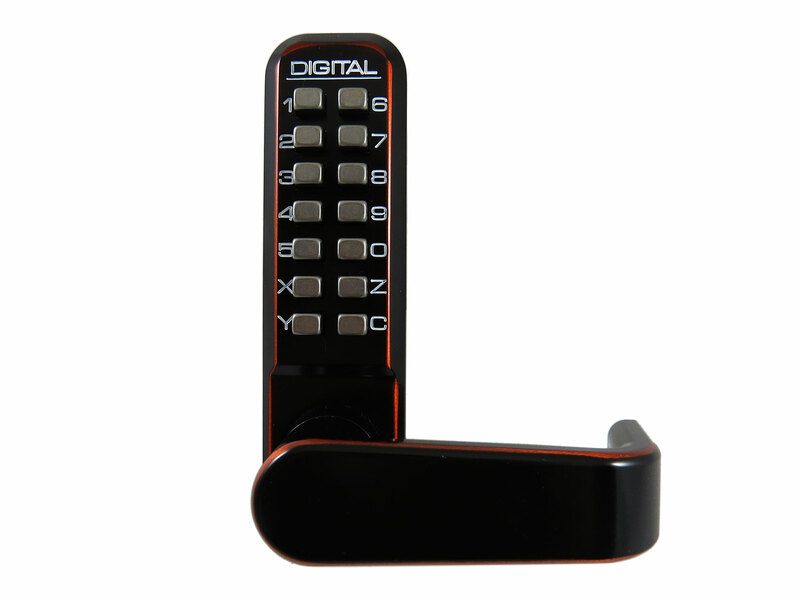 You will need to know the code to enable Passage Mode, but once enabled, you will be able to open it without a code. 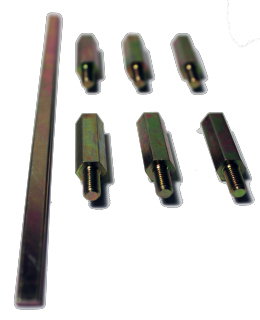 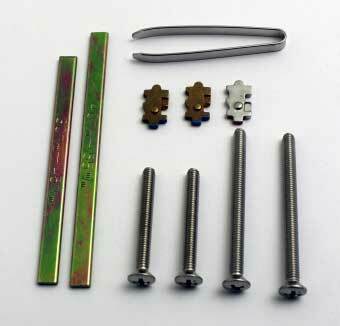 Door thickness can be 1-1/8" to 2, up to 5" with Extension Kit. 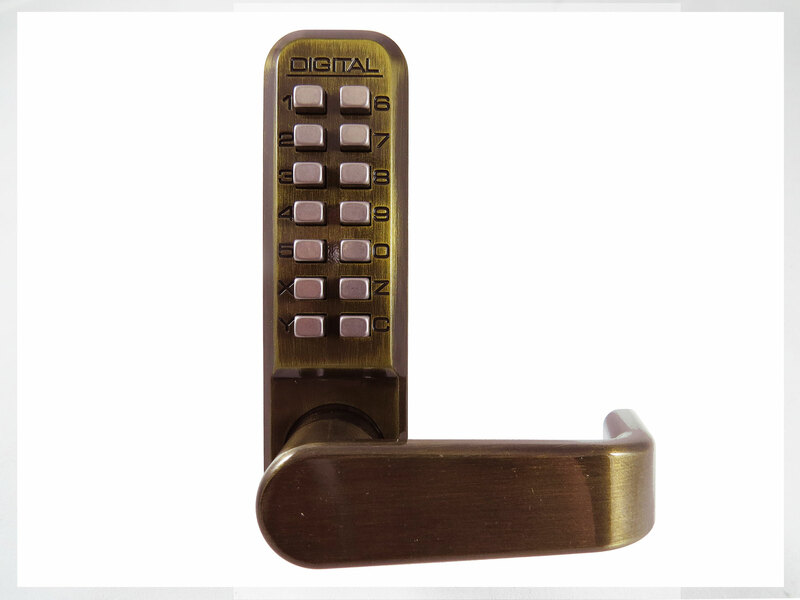 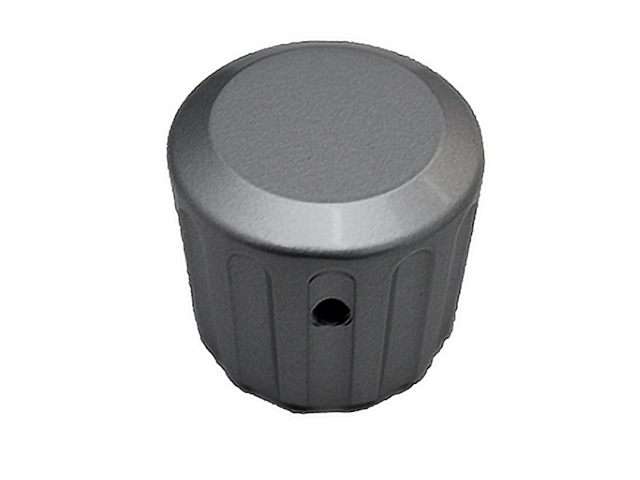 Lockey 2830 Knob Handle is available for this lock. 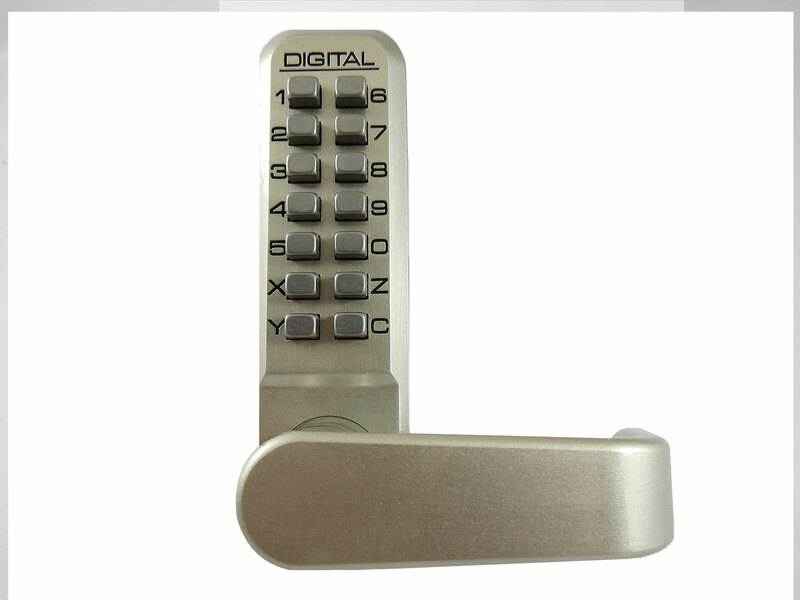 It fits over the outside knob and makes it easier to lock and unlock. 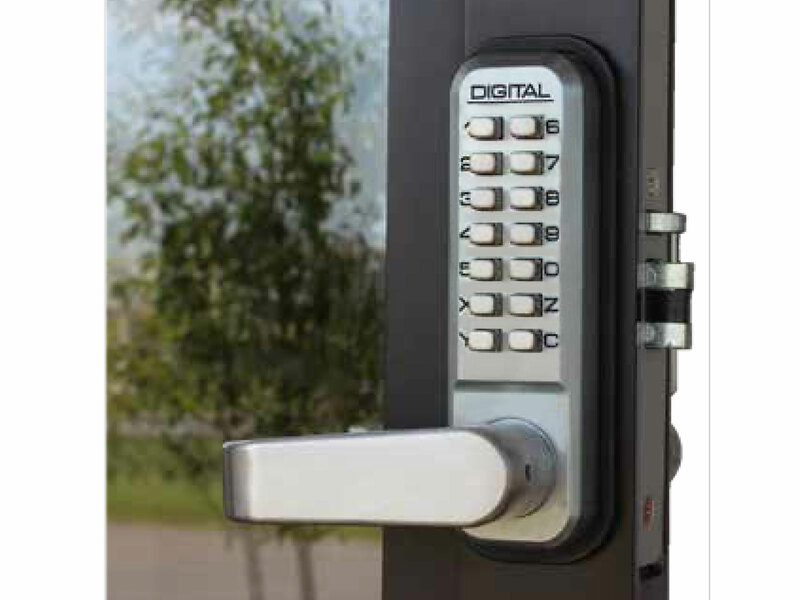 A matching gatebox (see below) is also available to make installation quick and easy.